Forget plastic cups. A North County San Diego company called GOVERRE has created a classier and more convenient way to take wine on the go. Based in San Marcos, GOVERRE was developed by Regan Kelaher and Shannon Zappala. The founders love wine and wanted to find a better way to incorporate it into their busy lifestyles. A Kickstarter was launched and funded. What’s in the name? GOVERRE stems (pardon the pun) from the word “go” and the French word “verre” for glass. But, it doesn’t look like a wine glass and, sure, you can transport other drinks in it, but here are the three things that differentiate this fun drinking container from others. The patent-pending GOVERRE lid seals and turns to prevent leaking. But, there is no need to remove the lid when drinking because it has a drink-through design for the ultimate in convenience. The cup is made from durable white glass that is thicker than a standard wine glass and covered with a silicone sleeve that provides padding so that the cup won’t break easily if bumped or dropped. The sleeve also keeps heat from dulling the taste of your wine. 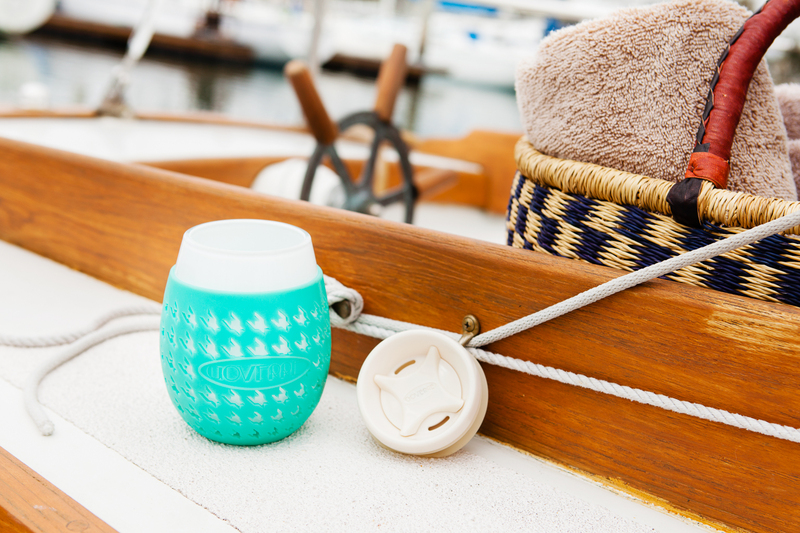 Pour 17 oz of any wine or beverage into your GOVERRE before heading out to the beach, a picnic, or anywhere else that a little wine might be in order. However, use it at home in situations where a traditional wine glass won’t do such as near a pool, in the front yard while the kids play ball or at a backyard party where there is too much risk that a stemmed glass might tip. However, it is always wise to keep your GOVERRE upright in your bag or picnic basket to decrease the risk of accidental leakage. Caring for your GOVERRE is easy as all parts are dishwasher safe. 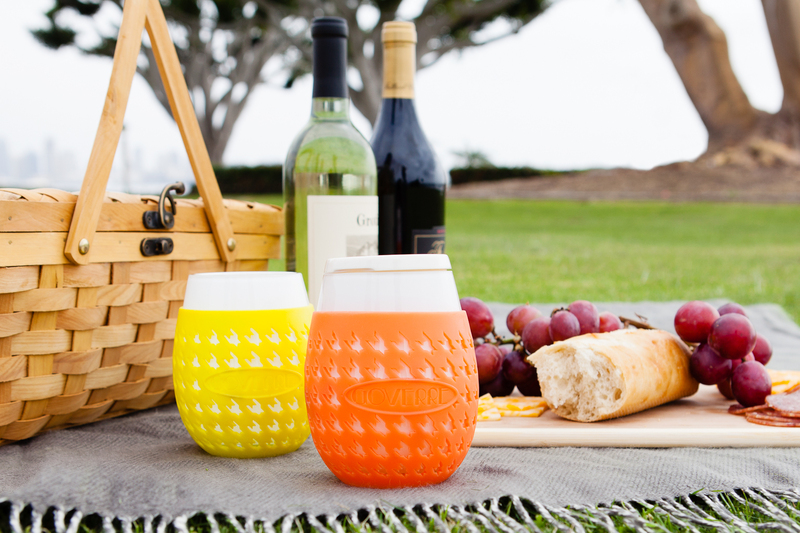 “Using the GOVERRE glass not only allows the wine to taste as it should, but you can also seal the lid, pack it in your picnic bag and enjoy it on your next picnic, for example,” says Shannon Zappala of GOVERRE. Look for GOVERRE at local retailers such as Bliss 101 (Encinitas), Meritage Wine Market (Encinitas), Form & Function (Solana Beach), Hi Sweetheart (La Jolla) as well as others across the nation. The cup retails for about $20. Pour, seal, pack and enjoy – any wine, any time. Where would you take a GOVERRE?